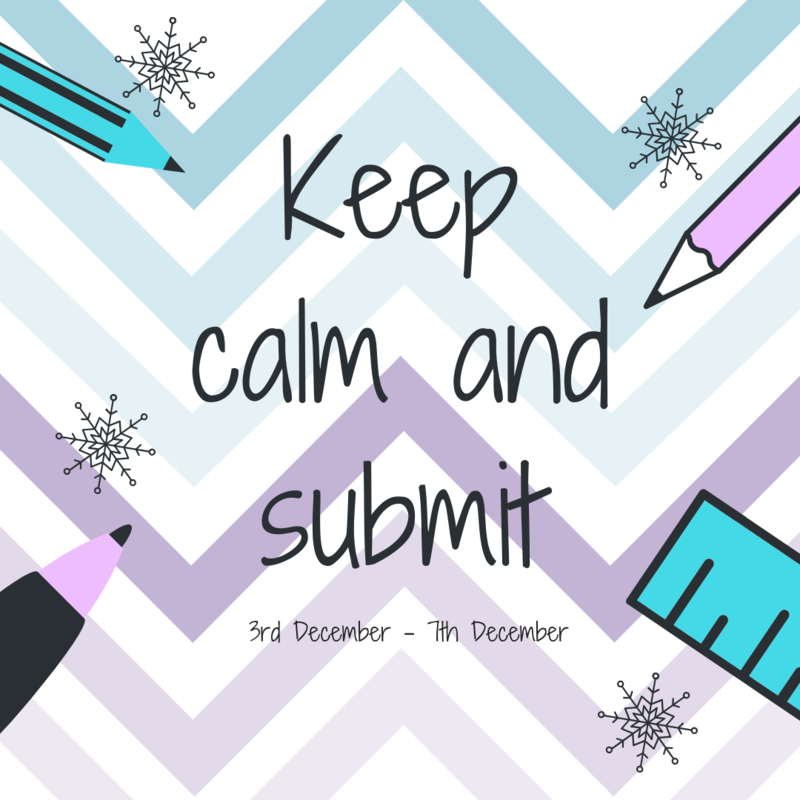 We have a range of fun and enjoyable activities for students to get involved with in Catalyst including a book display, colouring activities, Christmas card quotes and time management and revision handouts. Our book display will feature titles that will help you with all things academic, including writing assignments, organising your time and boosting your confidence. 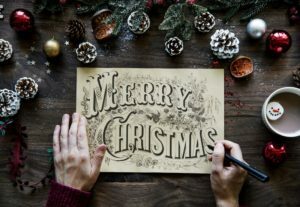 There will also be a Christmas-themed display with a Christmas tree🎄, crackers and cards printed with inspirational quotes, tips and information about the week to come. 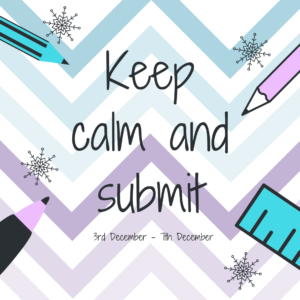 There will also be useful handouts for students to take away such as time management tips, revision tips and revision timetables accommodated for the Christmas period. So, make sure to come to the ground floor of Catalyst to check out what is available. 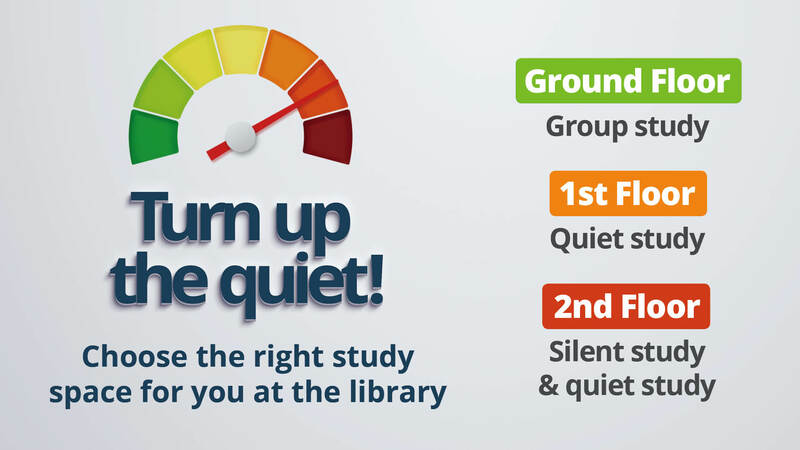 This week aims to boost the confidence of students and ease their minds about any worries they might have about submitting their assignments or preparing for exams. In order to support students during this period we will be hosting a range of workshops led by our Student Advisors. These Turnitin sessions, led by our Student Advisors, will give advice to students about submitting their assignments.This Turnitin *EXPRESS* session will give advice to students about submitting their assignments and tips on how to stay calm and submit with confidence.This session will cover what Turnitin is, how to submit an assignment, and provide students with the opportunity to ask questions and gain support with their submission. If you would like more support using Turnitin outside of these sessions, why not book a 15 minute appointment with a Student Advisor? We will also be hosting a range of other workshops led by our team of Student Advisors. Take a look below at the exciting and informative workshops we have to offer. 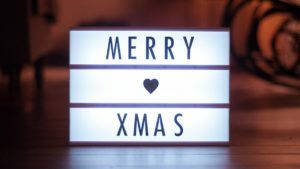 With January exam season looming, this workshop will offer students advice on revising through the Christmas period. ‘Revision Tips and Techniques’ will be led by our Student Advisor Dylan. This workshop will not only visit the different forms of revision but will question how to make revision techniques useful and effective. The session will also cover approaches to revision and the do’s and don’ts when revising. Students will be encouraged to take part in several group activities where discussions will take place. 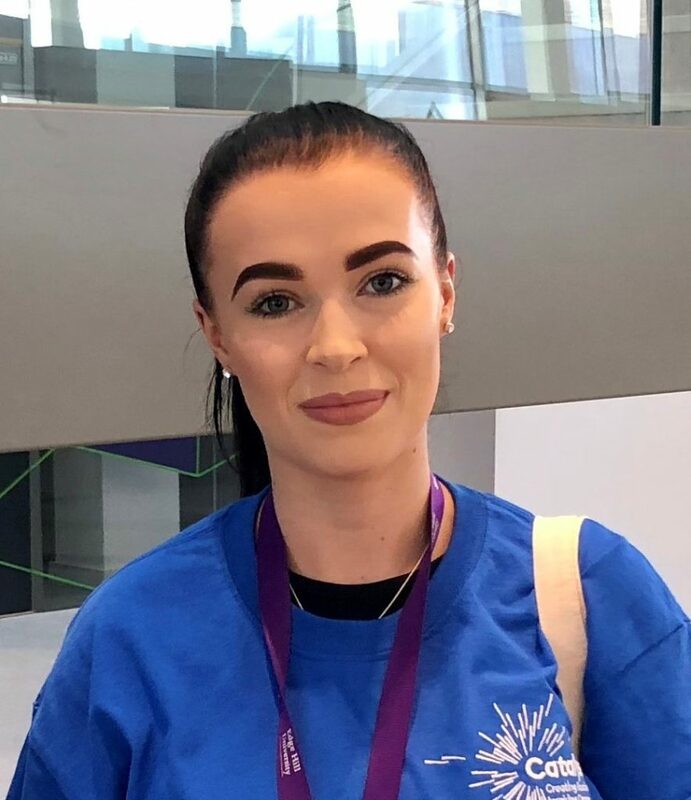 Hi, I am Jade and I am currently in my 3rd year studying Nutrition and Health. I am one of five Student Advisors, working for Library and Learning Services in Catalyst. We work from 11am to 4pm, Monday to Friday and we are here to help students along their academic journey. 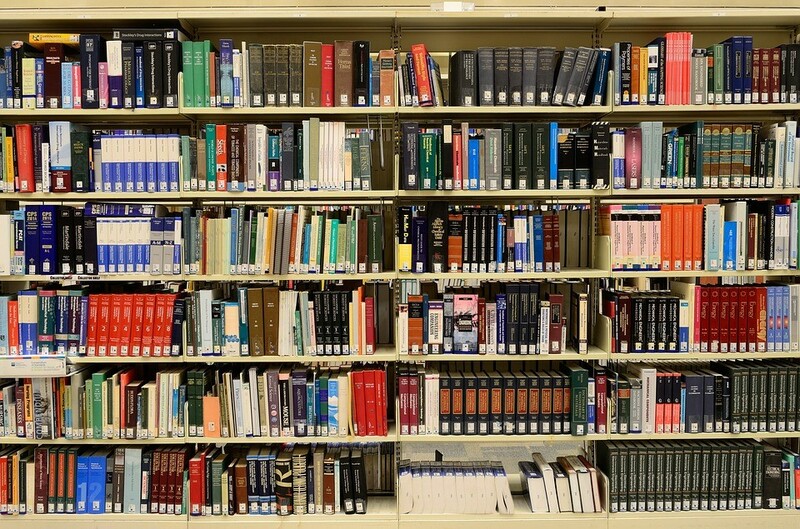 We can help by providing support with Harvard referencing queries, searching for physical or virtual books and navigating around the Virtual Learning Environment. I have created a preview of a typical day for us but we may be able to help with your other queries too! 4:00 pm – Leave Catalyst thinking about how diverse the job is and how the next shift may be completely different! We offer 15-minute appointments with a Student Advisor, during term time between 11am and 4pm, Monday to Friday. How do Edge Hill Students revise? What techniques do they use? 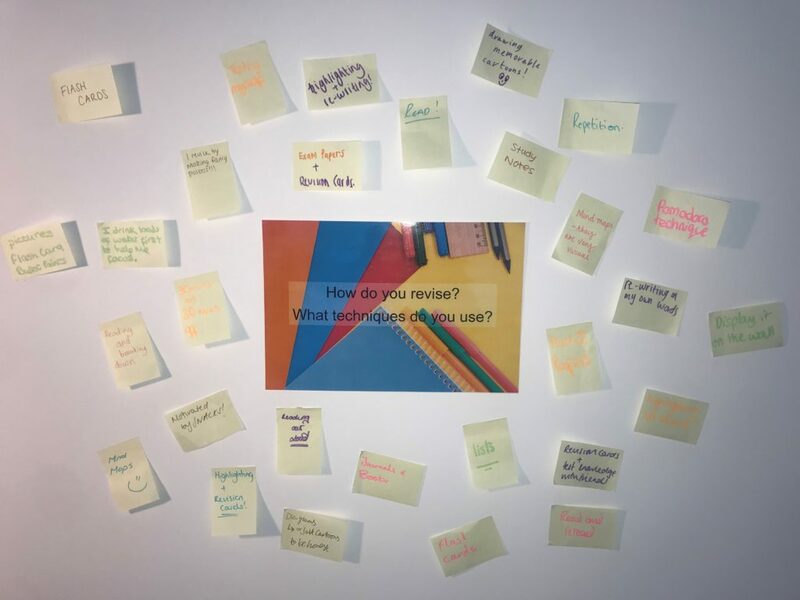 During Study Happy Week Learning Services asked students to write on a sticky note how they learn and what techniques they may use when studying or revising. There are three core types of learners these are visual, auditory and kinaesthetic. We discovered that there were many types of learners at Edge Hill University. Here are some of their Revision and Study Techniques. This means that by drawing a poster or putting information in plain sight on a wall you are able to take it in and study it, this is a key way to study if you are a visual learner. Revising by looking at pictures and diagrams helps you to break down and understand key information and concepts. 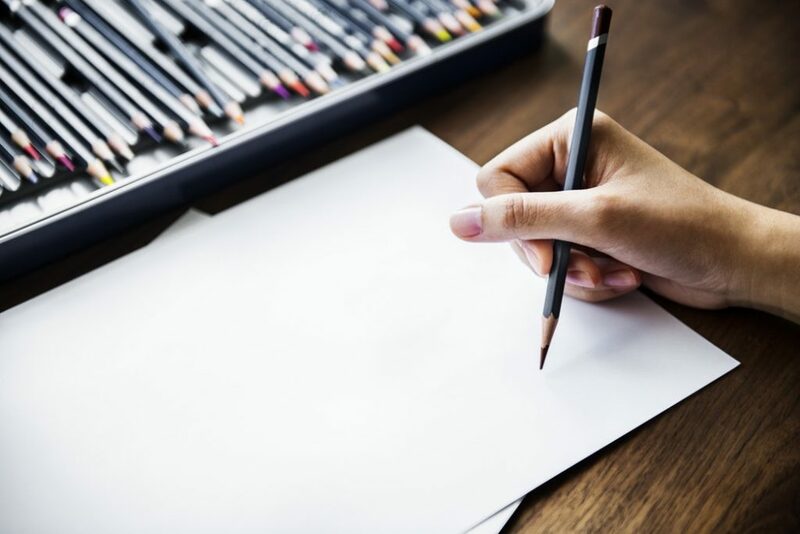 You can do this by using pictures or diagrams online, drawing your own, or by copying out certain pictures and images from textbooks you may have used. This is a quirky and fun way to be able to remember information. Some people are able to transfer written information into images and drawings and cartoons which allows them to be able to creatively take in information. Many people use some form of visual aid when studying, whether it’s copying out pictures, making flowcharts or even making colourful posters which are all an easy and often fun way to revise, and you can often link this to the first method of studying which was displaying it on a wall. We found that this was a very popular choice of study here at Edge Hill. Flash cards are perfect for copying down relevant and short pieces of information relevant to your topic. Also, you’re able to get them in several colours allowing you to categorise them easily. Repetition is also a very popular method of study, as it allows you to practise and understand information until you remember it clearly, this is often used in relation to the two point above flashcards and studying with friends. By writing out and rereading information it allows, you to eventually remember it and this can be very useful in exam situations. Bullet points are the perfect way to revise, you are able to grab core ideas, concepts and keywords from large passages of information and break it down into simple points via bullet points. Excellent if you find working with lots of information difficult and overwhelming. At some point in a student’s academic lifetime they will have used a highlighter, and for some people they find this a useful way of pointing out key ideas and words in text. Using a highlighter enables you to visually see key points quickly and easily without having to reread bulks of information. Although some students may think this seems like a boring and tedious way of revising some people learn by reading information and then rereading that information until they understand it and remember it. This can relate to the point above. 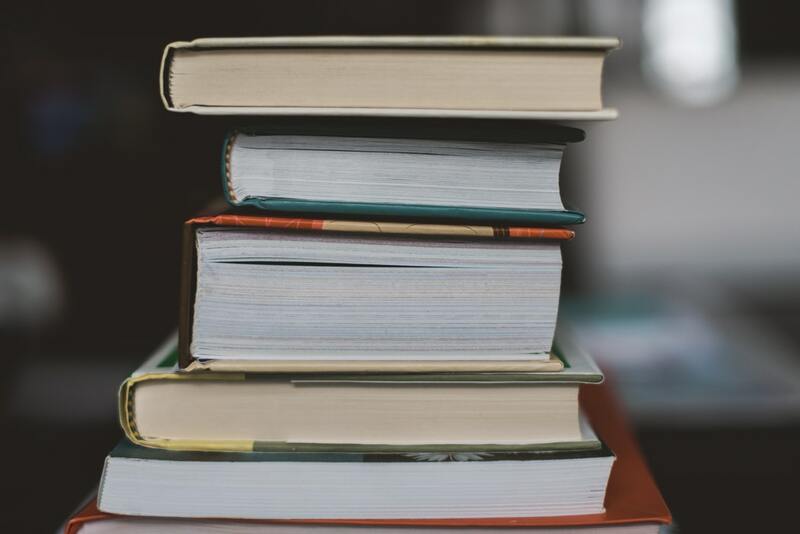 Often reading information from a variety of books and journals can help you study and understand information clearer by reading information from several viewpoints. This enables you to be able to understand information clearly before entering an exam or explaining information in assignments. Following on from the two points located above is reading and breaking down information in order to study. Although some people study and revise well by reading excessive amounts of information, some people revise better by reading information and then making notes in order to break down that information and take it in better. 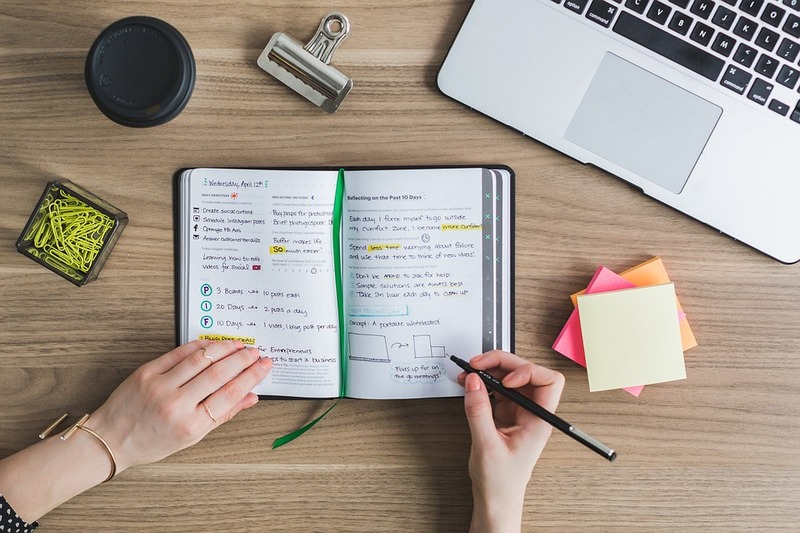 Often when making notes people like to revise them by putting information into lists of information or making to do lists when studying so you know what topics you may need to revise for. Another very common way to study especially if you are studying for exams is by practising past exam papers from previous years. So, this allows you to be able to understand the format and layout of exams so that you know what to expect. You can often find these online. The Pomodoro Technique is a way of managing your time productively by studying in intervals, for example you would study for 30 minutes and then have a 15 minute break, maybe a drink and a snack and then you would return to studying for a further 30 minutes followed by another break. This help to stimulate focus and allows you to be more productive when studying, when you know you are being rewarded with a break. 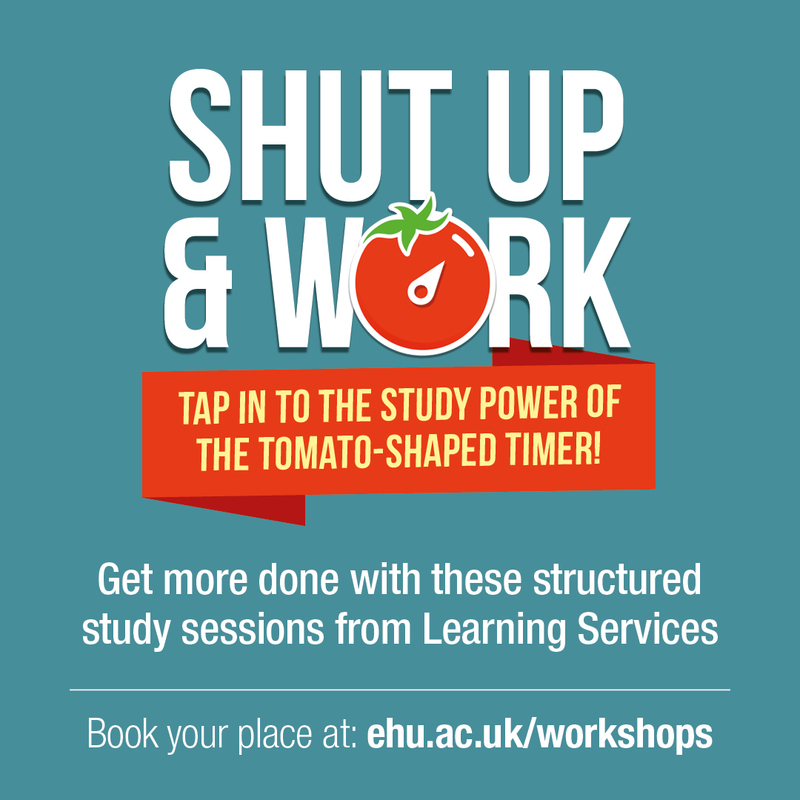 In the upcoming weeks Learning Services will be offering a “Shut Up and Work” workshop, it will be a 2-hour work shop where you can bring your own work and you will be following the Pomodoro technique. There will be refreshments available. You can book this online via the ‘My Library’ tab on Learning Edge. Some students said that they were motivated by food. This again would link nicely into the Pomodoro technique. Perhaps boil the kettle and have some snacks ready for your break, take a short break and then return to work. 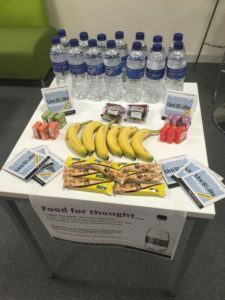 Some students suggest drinking lots of hydrating fluids before studying allowed them to be able to study harder for longer and enabled them to remain focused throughout revising. So why not try a few of the techniques mentioned above and see if they could help you when it comes to studying and revising for upcoming exams and don’t forget you can always book onto one of our upcoming workshops. This year we welcome five new Student Advisors to our team: Dylan, Claire, Shelby, Rachel and Jade. 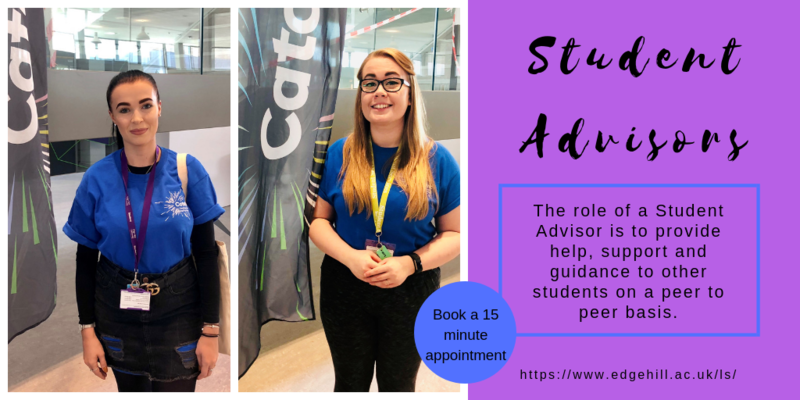 The Student Advisors are based in Catalyst and they are here to support you. The role of a Student Advisor is to provide help, support and guidance to other students on a peer to peer basis. 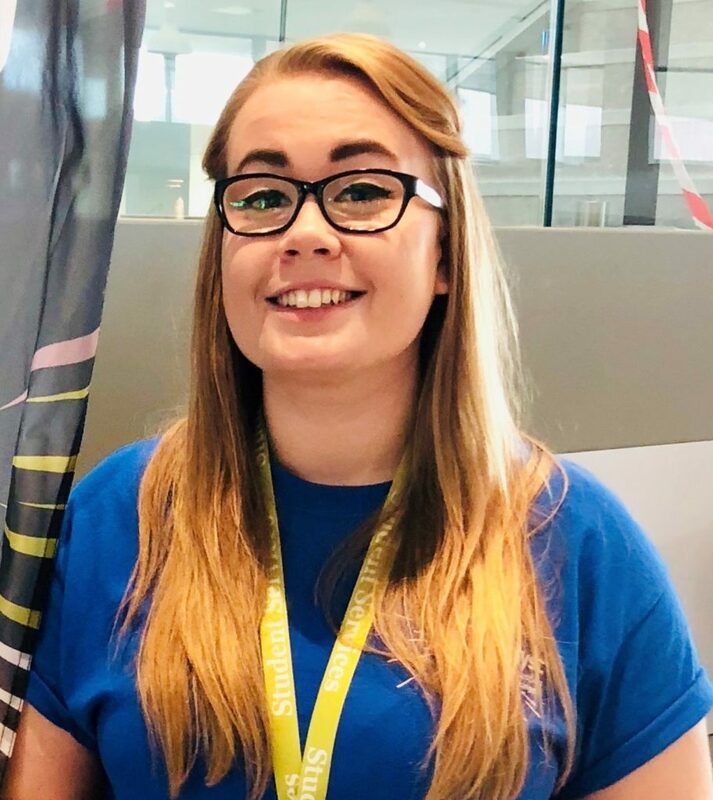 The team are all current second, third year or Masters students and between them they bring a great variety of subject knowledge and experience, using all of that to support other students on their own University journey. The support they provide revolves around getting the most out of your Library. They can help with searching the Library Catalogue for books and eBooks, using Discover More to find online journal articles, navigating Learning Edge, Harvard referencing and finding and accessing UniSkills academic support. They can also help you to develop a range of introductory academic skills and can introduce you to more specialised support where necessary. Find out more about our Student Advsiors below and what they can help you with. What do you do as a Student Advisor? As a Student Advisor I support students in numerous ways. Students can book onto a 1-1 appointment with me to help find electronic and physical resources, with referencing, Discover More and with any general enquiries they have about the VLE. In the Catalyst we are available to help students with any enquiries they may have about printing, study spaces or general information about the Catalyst itself. If you see us, don’t hesitate to approach! I work in Catalyst supporting students in accessing the resources they need, either by helping them search Discover More or the Library Catalogue. We also offer 1 to 1 appointments where we can support with assignment planning, note taking and referencing. I am always happy to share my experiences and coping strategies with other students. Help students find learning materials E.g. Books, eBooks, CDs, DVDs, Teaching Resources. How students can access a free television service called Box of Broadcasts and a free online course site called Learning with Lynda. Helping student access and use the online Learning Edge. Hosting 1-2-1 sessions on things like Harvard Referencing, Microsoft Office Basics, Learning Edge and many more. There are many roles we under go as Student Advisors, but most of all we are here to share our knowledge and first hand experience as students ourselves. I personally enjoy my job and being able to help others in any way I can. My role is to support students in making the most of all the learning services available to them in Catalyst and online. I help students find books, improve their referencing and navigate online resources through ‘Getting Started’ workshops as well as much more. I really enjoy offering students peer to peer support and helping them thrive! 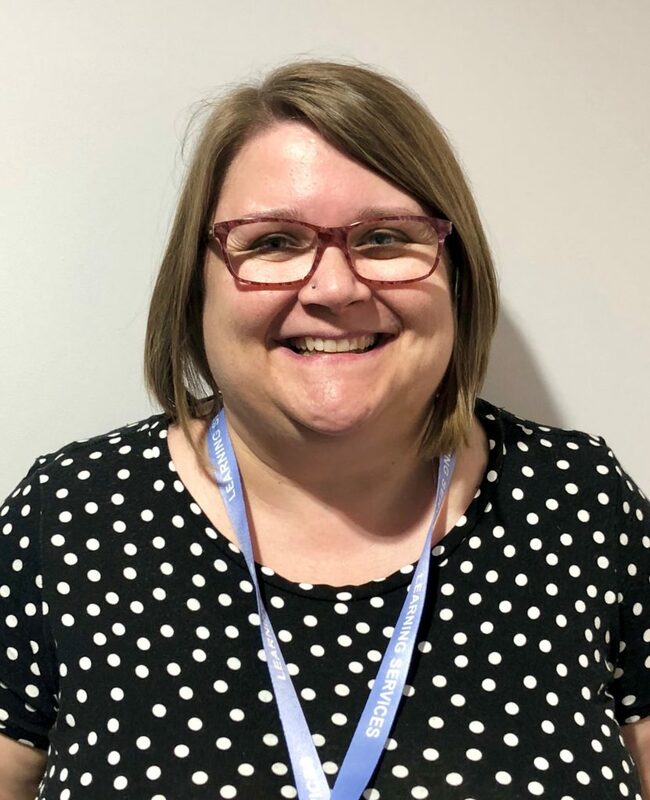 I work in the new Catalyst building for Learning Services, to assist students with all things to do with the Virtual Learning Environment (VLE). I can help students with Harvard referencing or searching for journal articles on Discover More. The best part of my job is helping to make students feel welcome in an unfamiliar environment. I can point you in the right direction of all the services in Catalyst, just ask! We have lots of exciting UniSkills workshops coming to Catalyst this term. We have workshops to help you develop your academic writing skills, sessions focused on searching for academic information, techniques on how to give powerful presentations and support on starting your undergraduate dissertation. Find out more about the workshops below and how to book your place. 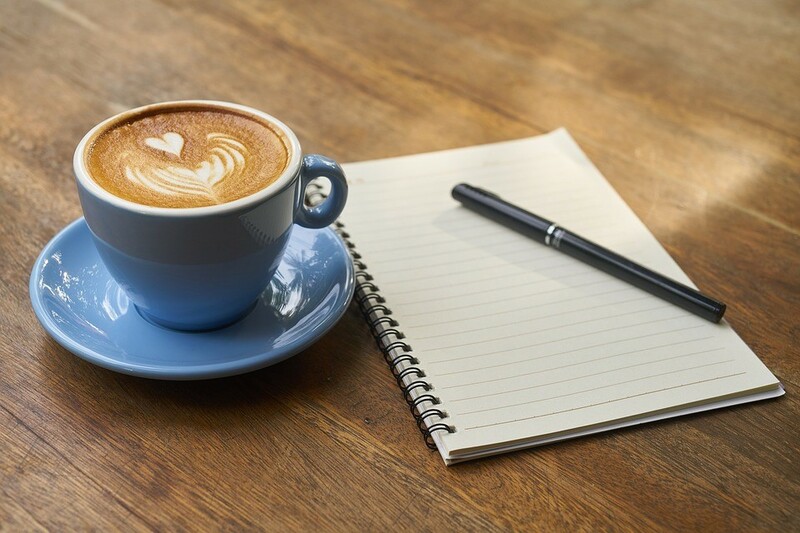 This workshop acts as an introduction to the style of academic writing used at University and may be of interest to those who are new to academic writing or want to refresh their understanding of what academic writing is. 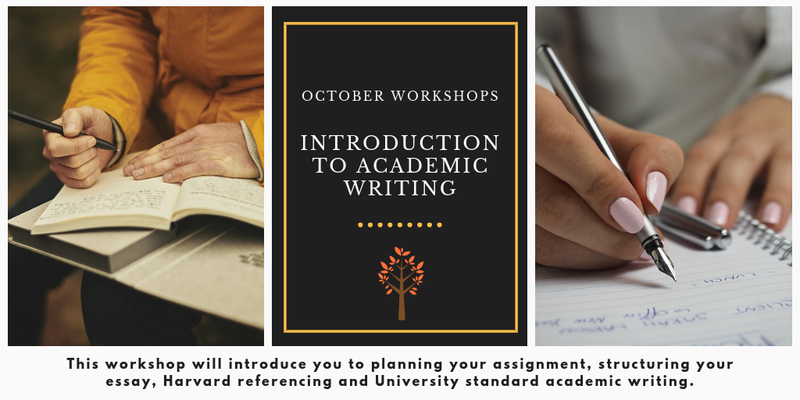 The topics we will cover in this workshop include: planning assignments, structuring your essay, academic writing style and an introduction to Harvard Referencing. Here are the dates and times below. 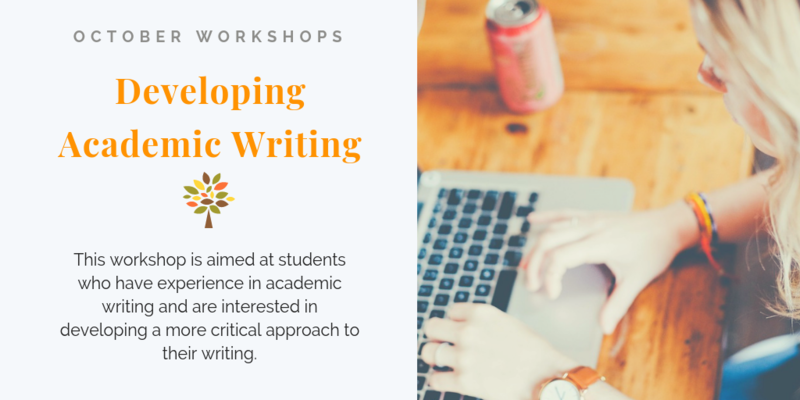 This workshop is aimed at students who have experience in academic writing and are interested in developing a more critical approach to their writing. Building on previous experience, learn to recognise and understand assessment criteria, apply critical reading and show critical analysis in your writing and the importance of integrating referencing. 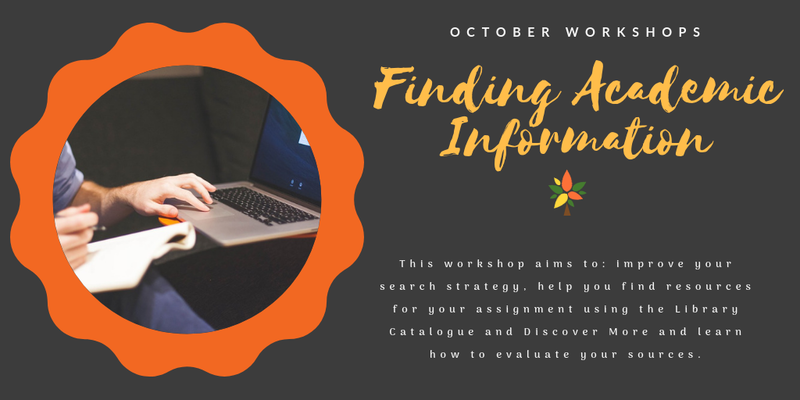 This workshop aims to improve your search strategy, find resources for your assignment (including books, eBooks and journal articles) using the Library Catalogue and Discover More and learn how to evaluate your sources. The topics we will cover in this workshop include: getting the search right in the Library Catalogue, using Discover More to find journal articles specific to your subject, reading lists, Google Scholar and evaluating information. This workshop may be of interest to those who are delivering a presentation as part of their University course. 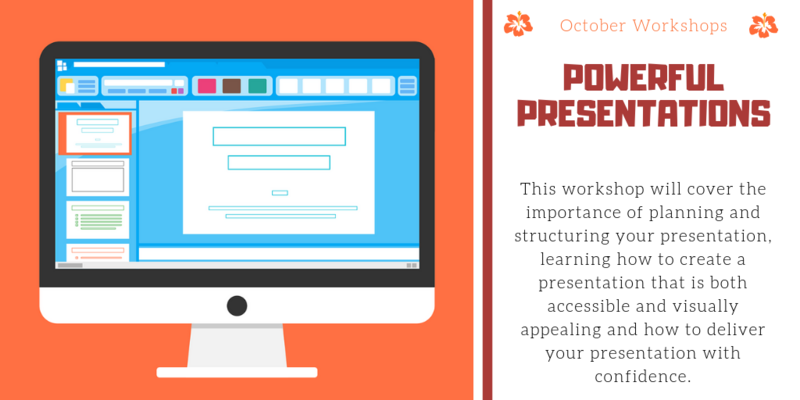 This workshop will cover the different stages of putting together a powerful presentation, including: recognising the importance of planning and structuring your presentation, learning how to create a presentation that is both accessible and visually appealing and how to deliver your presentation to an audience with confidence. 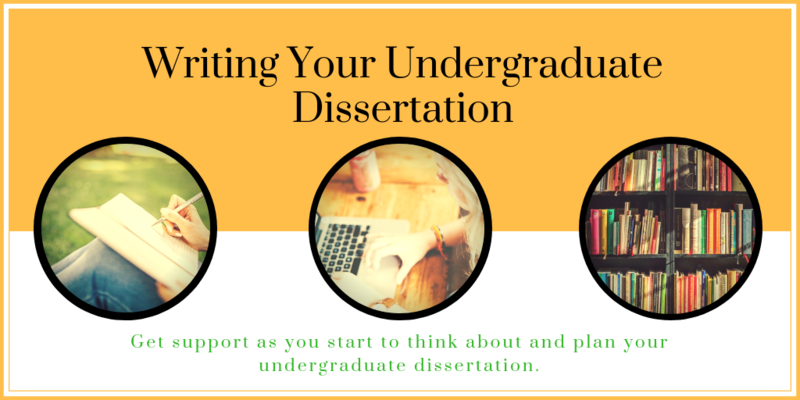 This workshop may be of interest to those who are starting to plan and think about their undergraduate dissertation. The topics we will cover in this workshop include: how to keep a narrow focus, what is originality of research, explore the structure and function of each section. This workshop also includes a troubleshooting group discussion. We would like to give a warm welcome to our new team of Student Advisors: Dylan, Claire, Shelby, Rachel and Jade! 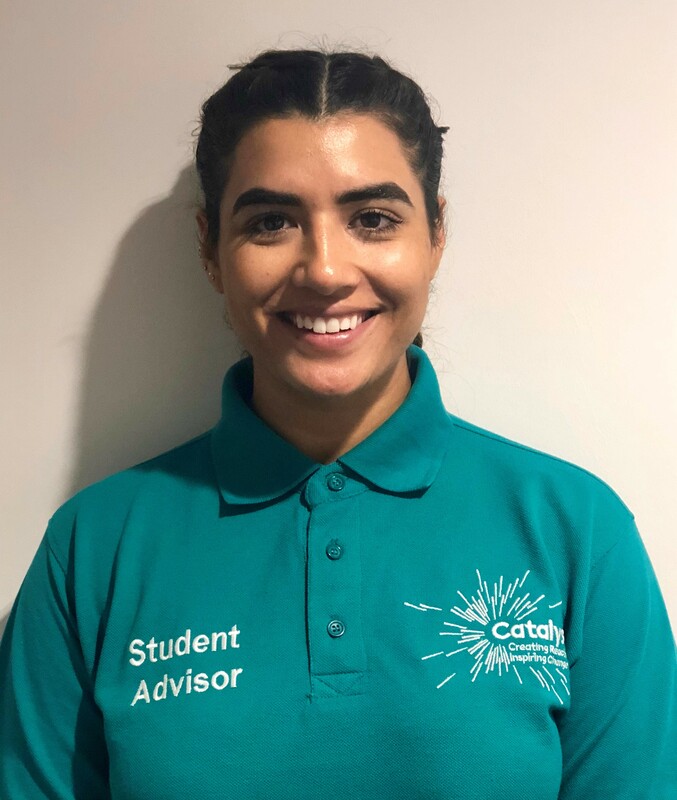 The Student Advisors are based in Catalyst and they are here to support you. The role of a Student Advisor is to provide help, support and guidance to other students on a peer to peer basis. The team are all current second, third year or Masters students and between them they bring a great variety of subject knowledge from their individual disciplines together with a wealth of experience from studying at Edge Hill, using all of that to support other students on their own University journey. The support they provide revolves around getting the most out of your Library, locating and using physical and virtual resources for your studies. They can help you to develop a range of introductory academic skills and can introduce you to more specialised support where necessary. 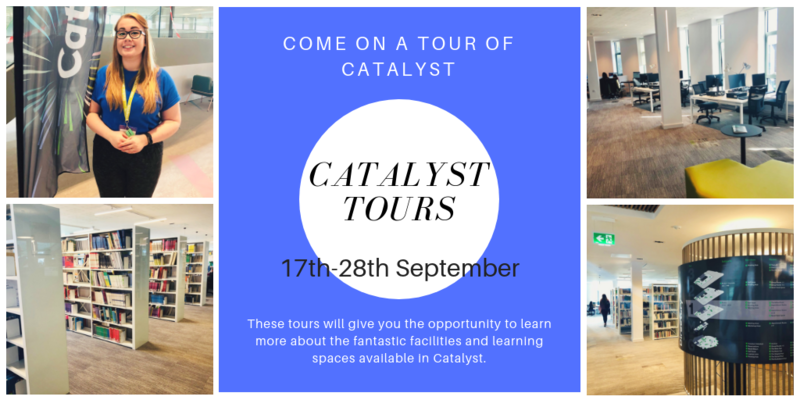 Catalyst tours are taking place weekdays from Monday 17th September to Friday 28th September. Tours start at 10am and are taking place every half an hour, with the last tour meeting at 3:30pm. 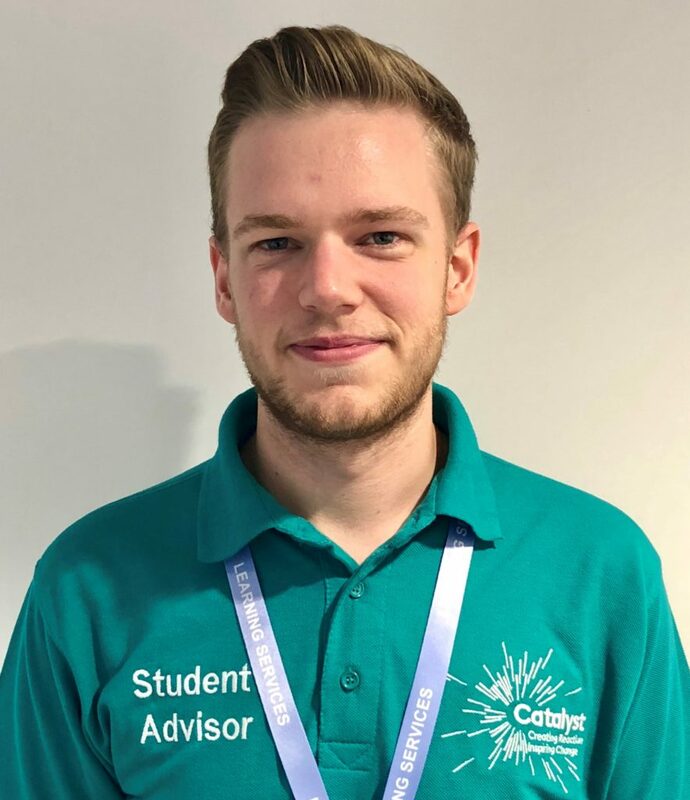 The tours are being led by our current Student Advisors’ who will show you around Catalyst, giving you the opportunity to see all of the fabulous facilities, learning spaces and student support available! Getting started sessions are peer to peer support sessions with our team of Student Advisors. 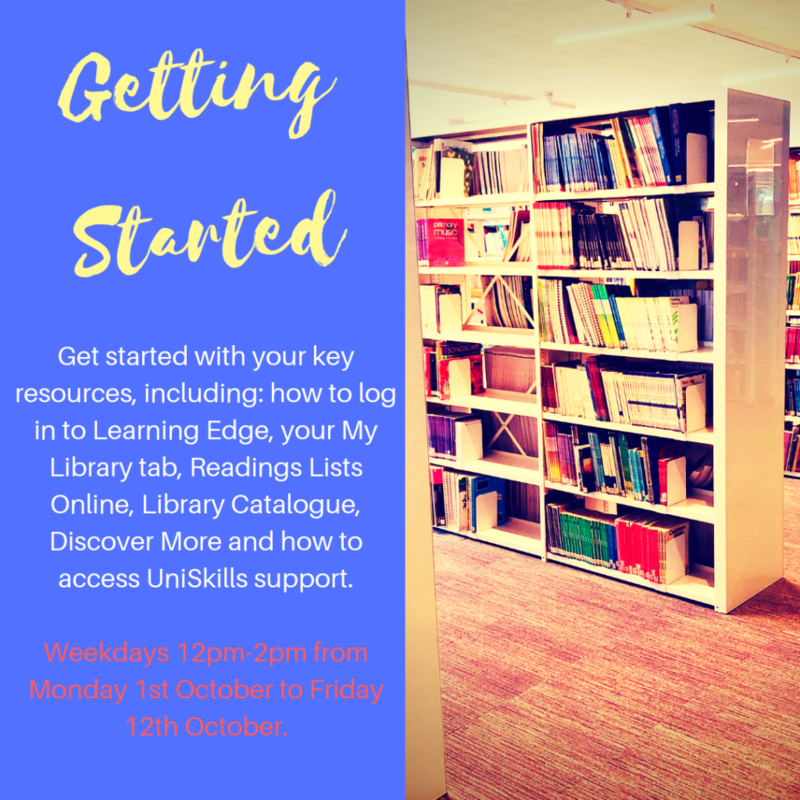 Get started with your key resources, including: how to log in to Learning Edge, your My Library tab, Readings Lists Online, Library Catalogue, Discover More, accessing UniSkills support and much more. Drop in sessions will take place in Willow Training Room, 1st floor Catalyst. 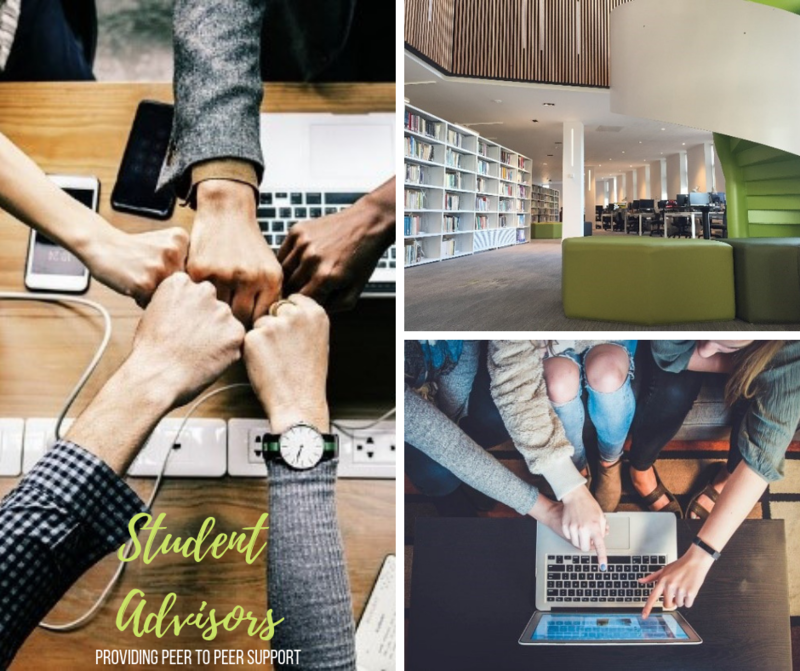 There is no need to book so just drop in and speak to one of our knowledgeable Student Advisors for peer to peer support and guidance on how to get started with your key resources. During term-time you can book a 15 minute appointment with a Student Advisor, between 11am and 4pm, Monday to Friday. Book an appointment with a Student Advisor here. You’re trying to stay on top of your revision and manage to keep a work-life balance. We know it’s tough and just wanted to let you know that we’re here to support you. That’s why Learning Services will be running a Study and Revision Central promotion for three weeks starting on 24th April. 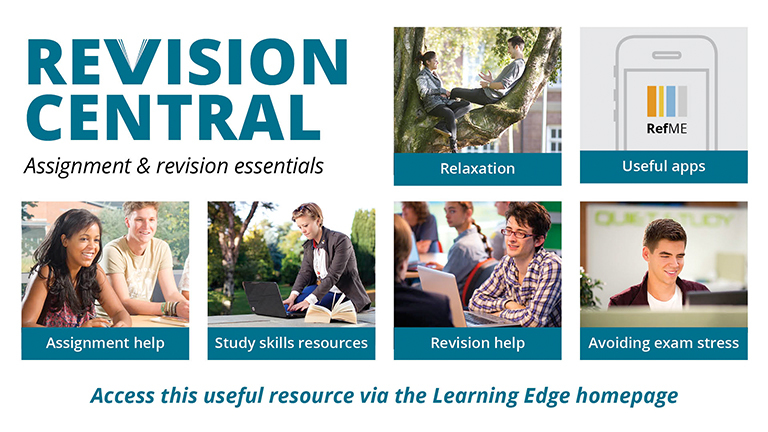 You can also find plenty of tips and guides on study & revision central at the one stop site available from your ‘My Library’ tab in Learning Edge. Check out the video playlist of revision tips on Lynda.com for help with time management, speed reading, note-taking and much more. It isn’t too late to book on to some of the remaining Uniskills Workshops which include sessions on academic writing and information skills. You can also get plenty of help at the Ask desk from our academic skills advisors and student advisors. The University library is open 24/7 right up until Monday 12th June. 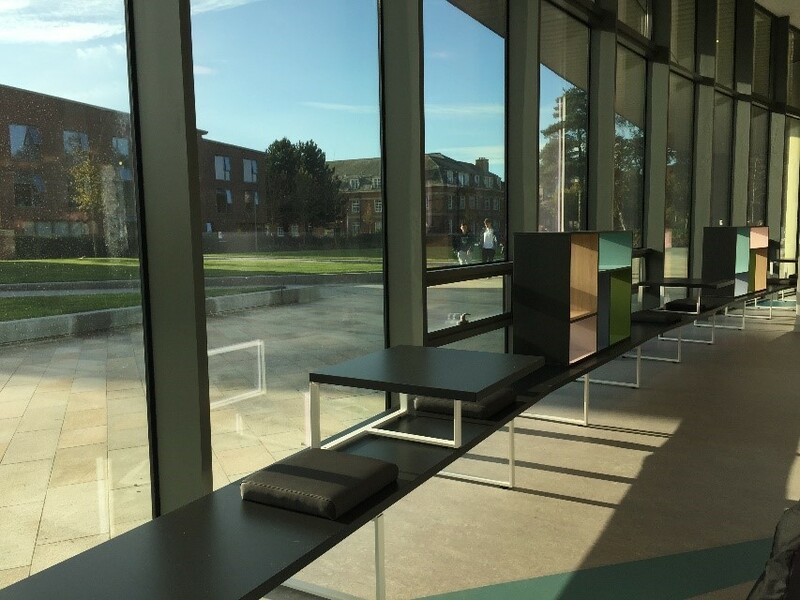 Within the library you will find a range of study zones, networked PCs, laptop loans and free Wi-Fi (eduroam), printing and photocopying facilities, access to 200,000 items including books, journals and audio-visual resources and access to help and support at our library help desk. 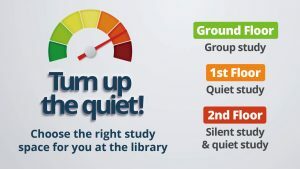 To help you find a quiet place to revise, we have a silent study area with easy access to resources or you could book one of the individual study rooms if you want some space to yourself. There are computers available in LINC building (building number 10 on the campus map) 24 hours a day, all year round which you can access using your student UniCard. Search our knowledge base Ask Us for the answer to many common queries including using Turnitin, Harvard Referencing and much more. All Edge Hill RefMe users were emailed about 6 weeks ago to let them know that the service was changing. RefMe has now become Cite This for Me and you can no longer access RefMe. If you use the app or the RefMe website you will be directed to the brand new Cite This For Me service. The account migration process has started. You will be able to login into Cite This For Me – although you do need to set a new password. The first time you login – it will send an email instructing you to set a new password. Cite This For Me have reported that the migration of references may take a couple of days so if your references aren’t there yet, please check back in a few days. If you were using RefMe and had references in the app, they will move over and you will have free access to Cite This For Me for the rest of the academic year 2016/17, however, Cite This For Me is a paid for app and has different functionality to RefMe and may not be as suitable once Edge Hill free access has terminated. To help you manage your references, why not take a look at RefWorks which is provided by Learning Services. It’s been a busy few weeks with assignments being due and on top of that the upcoming festivities to plan for, finance and of course, enjoy. For many of you, however, there is the knowledge that the New Year also brings with it the exam period. Now there are some lucky people who thrive on exams – they enjoy the pressure and it actually brings out the best in them! For the rest of us though some exam stress is inevitable and the trick is not to fall into the usual trap of ignoring it (#handsonearslalalala) or overdosing on negative thinking and caffeine. To avoid the common exam preparation pitfalls, help is now at hand on your Learning Edge home page in the form of Revision Central. 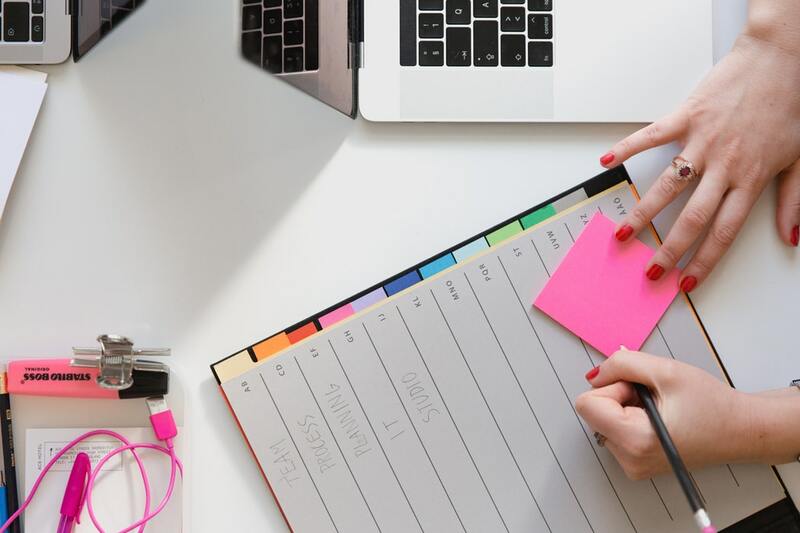 This is a collection of services and resources to help you with the three stages of exam preparation: planning your revision schedule, doing the revision and entering the examination room. Why not start with the Avoiding Exam Stress Section by listening to Professor Dave Puttwain’s podcast on avoiding exam nerves, then consult Revision Help for tips on making a revision plan and revision strategies. Opening Hours will tell you when the Library is open over the holiday period and in January and PC Availability will help you to track down a computer on campus. When you need a bit of head space, have a look at Useful Apps or Relaxation for guided relaxation and mindfulness visualisations. Do you need to discover more? It has come to that time of year when you will be researching for assignments or exams. 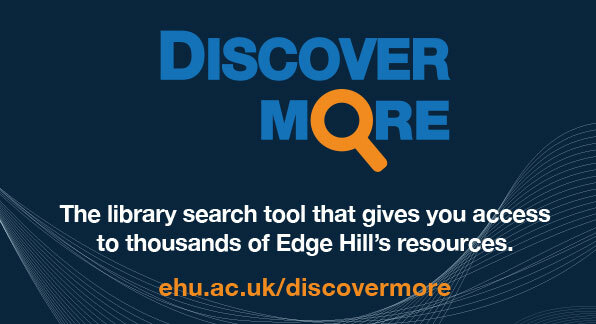 One of Learning Services’ key resources to support you with your research is Discover More. We have recently upgraded the tool and there are lots of new features which we hope will help you as you search for information – whether that be books or journals.